Charles Marlow is celebrating another great year and the coming of the Deia Christmas holiday season with our annual party on Wednesday 5 December at our offices at 6 pm. And you’re all invited. 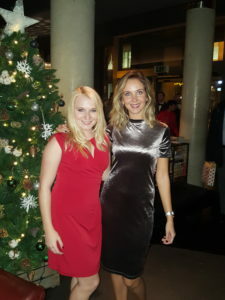 Maria Garde, West Coast Sales Director, has been looking forward to the Charles Marlow Deia Christmas party for a while. ‘We’ve been counting down the days until it’s acceptable to take out the cinnamon candles and have Mariah Carey on repeat all day,’ she says. Apart from the fact that the Deia Christmas holidays go on for an exceptionally long time – only ending after the arrival of the Three Kings on 6 January – a Mallorca Christmas is rather different from elsewhere in Europe. 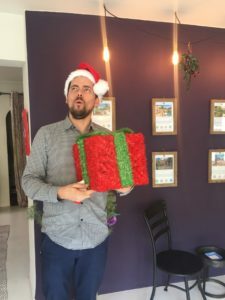 This year’s Charles Marlow Deia Christmas celebrations will be especially sweet for the team because it’s been another excellent year for the company in both Deia and Ibiza. Nikol loves to eat warm bunyols on the street with a cup of hot chocolate. If we don’t see you at the Charles Marlow Deia Christma party on Wednesday 5 December at 6 pm, we’re open until December 12 and then closed until January 2. And if you’re stuck for Christmas gift ideas, how about giving loved ones and family a great deal on a Deia dream holiday rental? Email Nikol at rentals@charlesmarlow.com or call 0034 971 636 427. Maria would also be more than happy to share details of the amazing homes we have on our books right now. Can you think of a more wonderful Christmas present than a Deia dream home? Contact Maria at hello@charlesmarlow.com or call 0034 971 636 427.